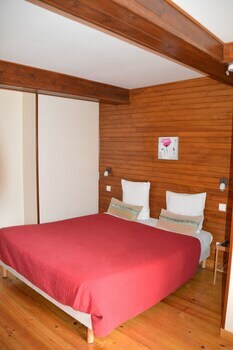 When you stay at Maison Maxil in Massat, you'll be steps from Pyrenees Ariégeoises Regional Natural Park. Featured amenities include multilingual staff and laundry facilities. When you stay at Hôtel l'Horizon in Saint-Symphorien-sur-Coise, you'll be within a 5-minute drive of Musee du Chapeau. Free self parking is available onsite. With a stay at Hotel Les Frangins in Saint-Omer, you'll be within a 15-minute drive of Public Garden and Museum of La Coupole.